Hemoglobin carries the oxygen to our cells, which use it as energy. Our neurons use incredible amounts of energy when they fire electrical currents, which create our thoughts, actions, memories and senses. When a neuron fires, it takes up large amounts of oxygen from nearby hemoglobin molecules. As oxygen leaves it causes a change in the iron-rich structure of hemoglobin, which can be detected by Magnetic Resonance Imaging. Blood-oxygen-level dependent fMRI allows us to see where in the brain oxygen is being consumed, correlating it with nearby neurons firing. This allows us now to literally map the brain based on activity. Which part of the brain is active during certain thoughts? Memories? Motor actions? BOLD fMRI can and has answered many of these questions. Contemporary studies with this technology has touched the edge of what we once thought possible, from algorithms that can scan our brains to guess what our eyes are seeing; to showing how meditation decreases the number of neurons firing in random areas of the mind. As we begin to settle into a comfortable pace of understanding and uncovering the functions of the brain in-terms of neurotransmitters and receptors, functional imaging of the mind provides a new horizon of understanding the mind as a complete neural network. 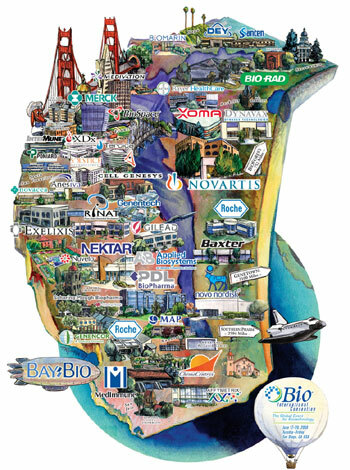 The biotech, pharmaceutical and life sciences industry poses an interesting conundrum. How do we industrialize a profession of problem solving? From experience, I can say some have done it well, while others have treated the life sciences like a traditional industry. Much of the novel molecules which lead to profitable drugs often have their beginnings in academic research. Here a molecule or procedure showing promise is quickly gobbled up by an industrial giant, with very fair compensations of course. In academic research labs problem solving can bee seen to take a two-pronged approach. The first is collecting and presenting data which will ensure future and continued monetary funding. The second and more important aspect, is everyone in the lab understanding their individual projects from the bottom-up; to understand the basic concepts of nature which are guiding the protocols of an experiment. And it is at this where industry shows it’s largest short-coming. Departmentalizing work within a single project causes individuals to differ responsibility of the overall project success. This creates a lack of vigilance, people let flaws in experimental design slip by, those whose experience can best help troubleshoot aren’t even asked. The biotech industry isn’t young and fledgling anymore and allowing it to be run through the lens of a traditional business will do little to assure future success. Finding treatments for Parkinson’s disease helps more than just those afflicted with the illness. The mere act of studying the disorder and looking for a cure has increased mans understanding of the physiological structure of the brain and it’s relation to movement of the body. This article by Kim et al, was published in Nature, vol 418. These researchers are interested in deriving dopamine neurons from embryonic stem cells (ES cells); Parkinson’s disease is caused by the loss of neurons that produce dopamine. To quantitatively measure how much dopamine these ES cells could produce the researchers stained for tyrosine hydroxylase (TH), which catalyzes the conversion of L-tyrosine to dihydroxyphenylalanine (DOPA), the precursor for dopamine. Nuclear receptor related-1 (Nurr1) is a transcription factor that has a role in the differentiation of midbrain precursors into dopamine neurons. In the study ES cell lines expressing Nurr1 are compared to native dopaminergic neurons and WT ES cells. Nurr1 ES cells outperform both comparative cell lines in TH stains, showing greater dopamine production. Once the authors have demonstrated that their ES cell line with Nurr1 can produce dopamine just as well native dopamine producing neurons, they move on to graft the newly created cell lines to show that they don’t lose their capabilities within an animal model. At the very base, this study demonstrates the ability of embryonic stem cells to be turned into neurons capable of producing specific compounds, just as well native neurons.